Litigation over the former site of the Sand Castle arcade along the Seaside Heights boardwalk has been resolved, however it is unknown if legal wrangling will resume in the future. The owner of the property – Samuel Tilles – and Seaside Heights were involved in litigation over the zoning of the site as well as where municipally-owned land was located. The Sand Castle building – destroyed in Superstorm Sandy – had no zoning at all, and was rezoned this week to become part of the borough’s Resort Recreational Zone. 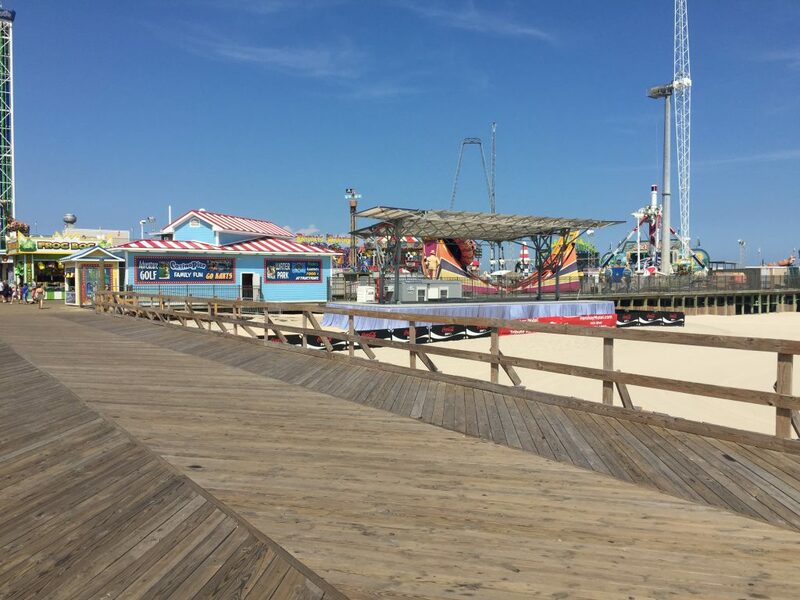 Tilles, who also owns the site of Jimbo’s Bar and Grill, reached a settlement with the borough in the matter, however he was later sued by Casino Pier, which sought to prevent him from reopening boardwalk kiosks in the area, according to officials. Casino Pier was victorious on a technicality, said Borough Administrator Christopher Vaz, which was remedied by an ordinance passed last week by the borough council. In the new ordinance, measures were reworded, and borough took possession of its portions of land while rezoning the former Sand Castle site. Vaz said, to his knowledge, Tilles wishes to rebuild the arcade and add boardwalk kiosks. He did not know if Casino Pier would, again, initiate legal action in the case.